Review Cheap Pet Insurance Quotes & Buy Online! Cheap Irish pet insurance quotes. Dog and cat insurance benefits will generally include death benefit, kennel fees, veterinary bills, pet accident cover, third party liability, holiday cancellation and lost & found ads! If your pet is injured or becomes ill, veterinary treatments and medical costs can be expensive. It’s only natural to get upset should they become sick, dog and cat insurance will give you peace of mind and remove the financial strain should your pet require treatment for an injury or illness. Mature dogs and cats just like humans are prone to long-term illness, for example arthritis, heart problems or diabetes. So whether your pet is a cross breed or a pedigree, insurance can make stressful situations and decisions a little easier to handle by removing the financial burden. 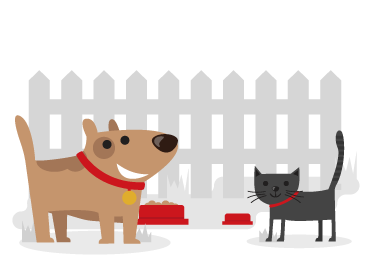 Ensure you understand the difference between Lifetime Cover and Annual Cover, this criteria can make a massive difference to the type of benefits and cover your pet receives. We recommend that you shop around in order to get the best value comprehensive policy. Pedigree pets are generally more susceptible and prone to illness so it’s important that you get the right cover that’s suitable for your dog or cat. The older the pet the higher the premiums and remember if you are purchasing a new policy; pre-existing conditions will not be covered. Some providers may offer discounts for policies purchased online. Pet insurance companies will generally offer a discount if your pet is micro-chipped. This chip will help identify the owner should your pet stray. Discounts are generally offered for multiple pets. Shop around for the best value policy and ensure you are comparing like with like. Always read the policy wording carefully and ensure you understand the exclusions. The cheapest policy is not always necessarily the best. Medical expenses up to a limit outlined on your policy schedule. Some policies include advertising costs for missing pets up to stated limits. Third party liability, this benefit will cover you in the event your pet causes injury to a third party. Holiday cancellation should you have to cancel your trip due to your pet becoming ill.
Worming, flea control and castration. Medication or treatment not recommended by a vet. Animals registered under the government’s Dangerous Dogs Act 1991/97. Puppies / kittens under eight weeks old. This policy will generally cover your pet for life, provided the policy is renewed each year. You can claim up to the full amount outlined on your policy schedule for vet fees in the event of an ongoing illness, for example; arthritis or heart problems. This type of policy will be more expensive than the annual cover, terms, conditions and limits may apply. This type of policy will not contribute to vet bills for an ongoing illness after the first 12 months. Premiums vary so make sure you understand the criteria, terms and conditions. What are pet age limits? Generally you can purchase a pet insurance policy for dogs and cats from the age of eight weeks up until eight years. If you have Lifetime Cover and the policy is renewed yearly, it will cover your pet beyond the age of 8 years, always read the policy wording carefully. Excess is the initial amount you must contribute towards a claim, this amount will vary depending on the type of policy you purchase. Will pet insurance cover pre-existing medical conditions? Pet insurance will generally exclude pre-existing medical conditions for new customers taking out a policy. 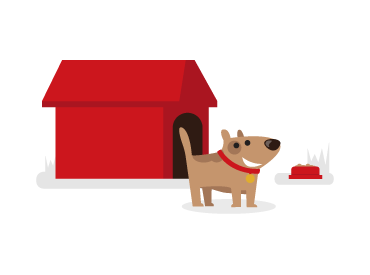 If I purchase a policy today, when will my pet be covered? Policies will generally become valid after 14 days from the purchase date. What does complementary treatment cover? Depending on the type of policy some insurers offer complementary treatments such as acupuncture, osteopathy and chiropractic care. These treatments must be carried out by the vet and it must be due to a valid claim for an injury or illness, terms and conditions apply.